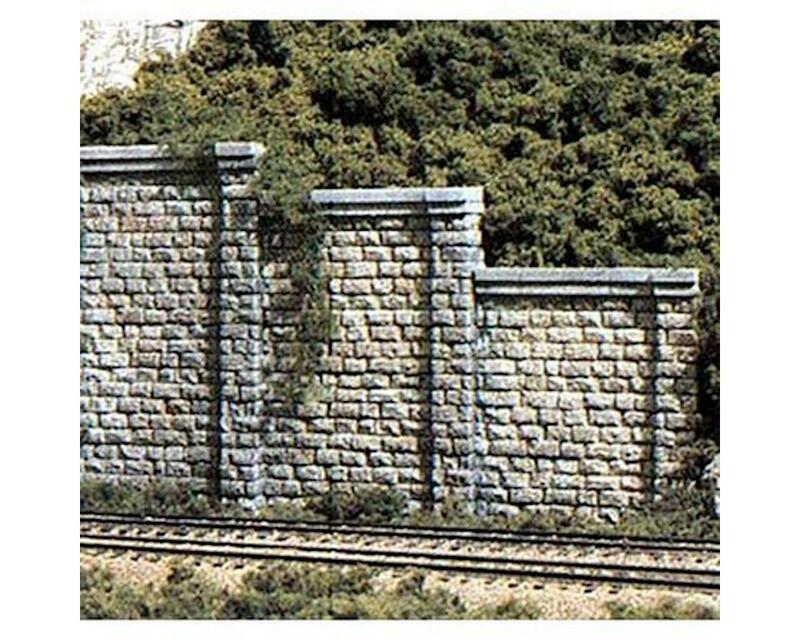 Woodland Scenics Retaining Walls are plaster castings that are easy to color. They can be used alone, installed adjacent to each other to create straight or curved walls, or used with Tunnel Portals. Retaining Walls can be cut ot varying heights to create stepped wing walls.